Did you know that this coming Sunday, February 23rd is National Dog Biscuit Day? And what better way to celebrate than sharing our favorite cookie, The SMARTCOOKEE Company to be exact. Having six little ones in the house can make treat time a little difficult. 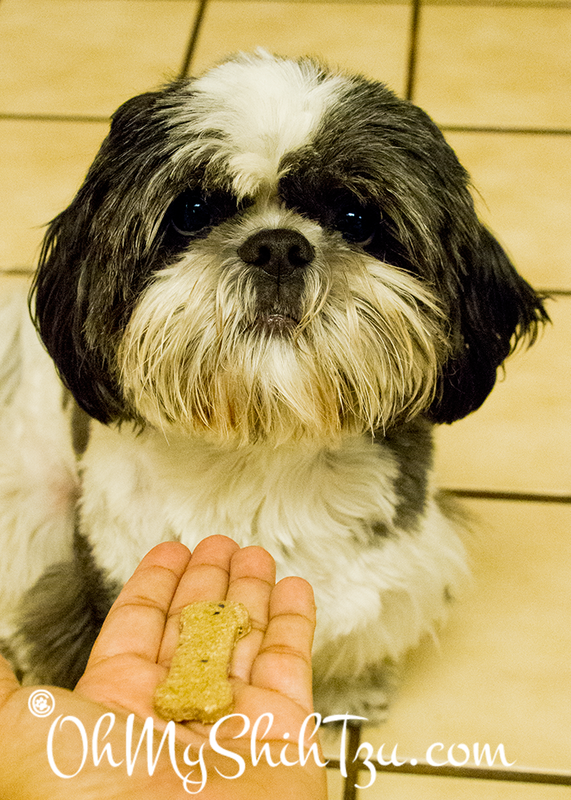 The only reason it becomes so difficult at times is the fact that Shih Tzus can be so picky! And finding a treat that everyone likes can be an adventure. Which to choose? Ise can’t decide! Made with limited human grade ingredients including the great antioxidant Chia Seeds, Riley asks politely for her favorite PB’nJelly Time. Riley waits patiently for her PB’n Jelly Time! 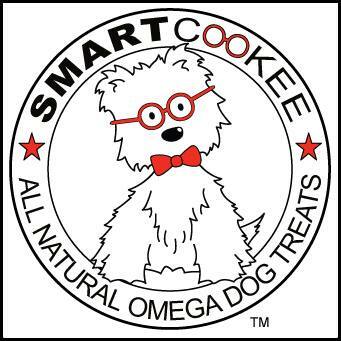 Based out of St. Petersburg, FL, The SMARTCOOKEE Company was created with love and passion by Robert and Kelly Ison. If you think they look familiar, well they were recently featured on ABC’s The List! But if you can’t wait to see if you are a winner , head over to The SMARTCOOKEE Company site and place an order for a bag or two, or three… but hey if you order 4 bags shipping is free!! 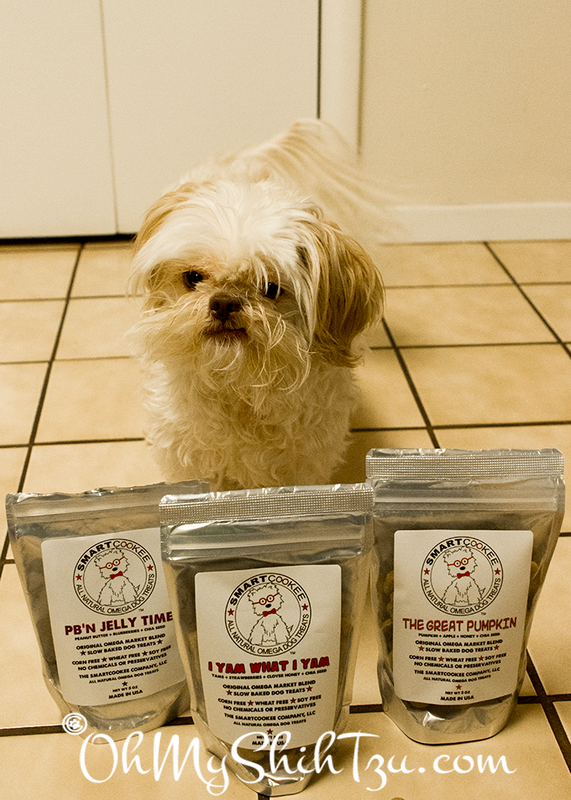 Disclaimer: SMARTCOOKEE did not provide product or compensate Oh My Shih Tzu for this review. We like to share information and product reviews on items we feel relevant to our readers. We are happy to be participating in todays Tasty Tuesday hosted by Kol’s Notes & Sugar the Golden Retriever! PB and Jelly Time because my dog tried to get the bread covered in peanut butter meant for the birds to eat. Wow, those treats look very delicious!!! I have been hearing a lot about SMARTCOOKEE lately, but we haven’t had the chance to try them! I would definitely love this opportunity! I Yam What I Yam, because I love the name! MMM! I love yam treats so those would be the ones I’d pick! Oh boy! Treats that even picky eaters will enjoy?!? They must be some great Cookees! Sissy would like to try the PB and Jelly time. Well, these sound very good! Great review and giveaway! I think Mr. N and Onyxx would enjoy the PB’n Jelly Time best.